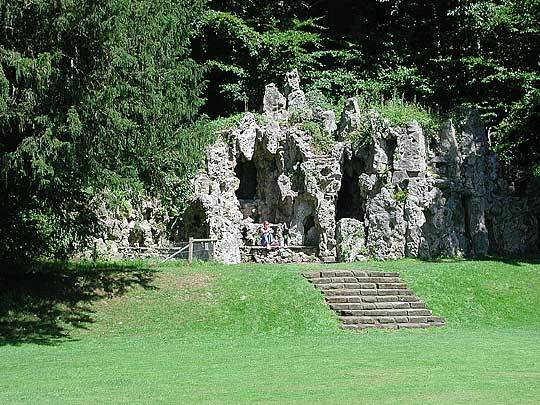 Apparently, at the side of the grotto are some stones moved from a prehistoric site at nearby Tisbury, c1792. (Though according to other accounts, I've read, the stones are actually part of the grotto itself.) Josiah Laine, who built the grotto, came from Tisbury, so I guess he was using what he saw to be handy and suitably quaint stones. Supposedly the human remains beneath the stones were placed back under them at their new location. You wouldn't imagine they'd be best pleased at becoming part of a fashionable garden accessory.